Their observations suggest molten iron and nickel are draining energy out of the Earth’s core near where the magnetic field is generated. 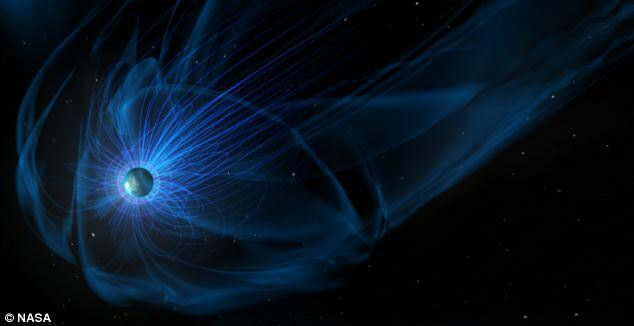 While scientists aren't sure why exactly this happens, they describe it as a 'restless activity' that suggests the magnetic field is preparing to flip. ‘This is serious business’, Richard Holme, Professor of Earth, Ocean and Ecological Sciences at Liverpool University told MailOnline. The Earth's climate would change drastically. In fact, a Danish study believes global warming is directly related to the magnetic field rather than CO2 emissions. Radiation at ground level would also increase, with some estimates suggesting overall exposure to cosmic radiation would double causing more deaths from cancer. 'Radiation could be 3-5 times greater than that from the man-made ozone holes. Furthermore, the ozone holes would be larger and longer-lived,' said Dr Colin Forsyth from the Mullard Space Science Laboratory at UCL. 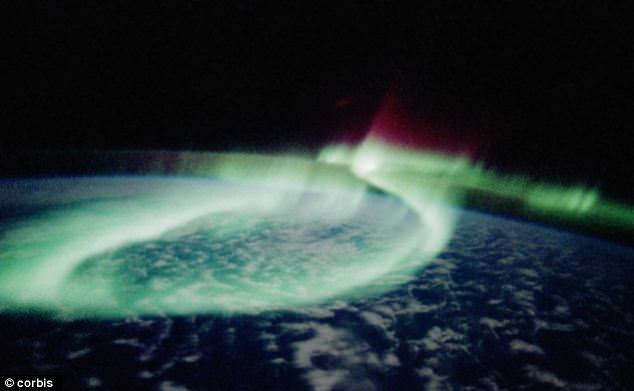 The magnetosphere is a large area around the Earth produced by the planet’s magnetic field. Scientists have discovered that ancient pots can act as a magnetic time capsule. This is because they contain an iron-based mineral called magnetite. When pots form, the magnetite minerals align with the Earth’s magnetic field, just like compass needles. If the magnetic field continues to decline, over billions of years, Earth could end up like Mars - a once oceanic world that has become a dry, barren planet incapable of supporting life. But scientists claim the rate of decline is too fast for the Earth’s core to simply burn out. Instead, the story told by ancient pottery suggests the Earth's poles could be about to undergo another flip. 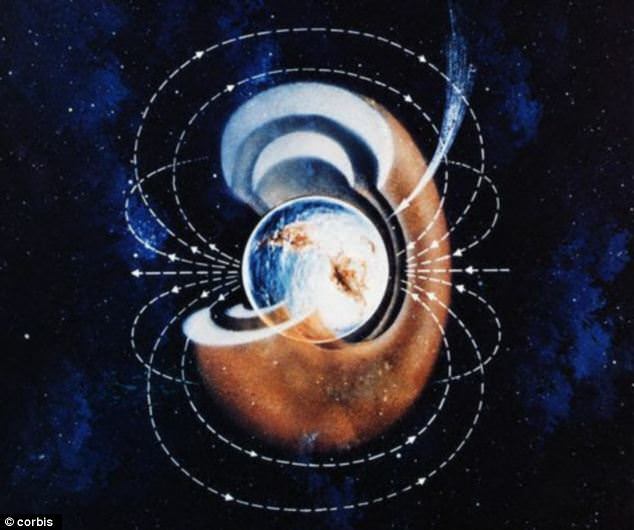 According to the British Geological Survey, the Earth's magnetic field has on average four or five reversals in polarity every million years and we’re now overdue a similar event. If a flip occurs, it would cause the Earth’s magnetic shield to be weakened for thousands of years, opening up our defences and causing cosmic radiation to get through. 'We have a double layer defence shield,' said Jim Wild a space scientists at Lancaster University.